Register now for beach dodgeball, indoor dodgeball and outdoor soccer leagues for spring and summer! 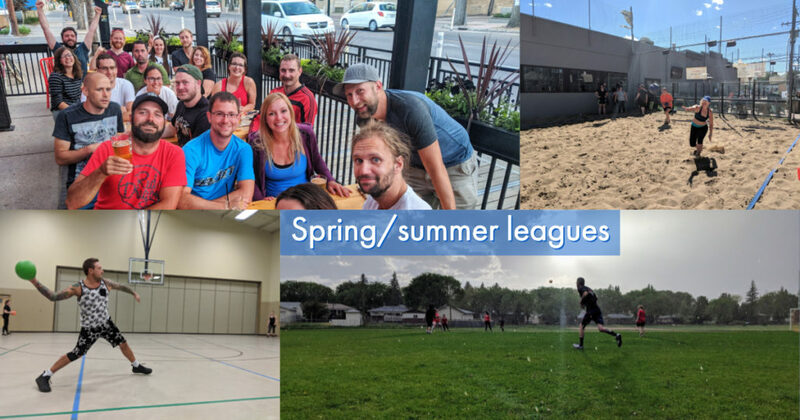 Our coed adult rec leagues run mid-May to August, and if you register before April 15, you can save $100 on your team registration. We also offer single player registration for all of our leagues. Single players are placed on an existing team or grouped together to make a draft team, depending on how many players register. If you have a group of friends who want to play but not enough to field a team, you can register your group and we’ll place you together. Games at 1:30 p.m. and 2:30 p.m.
Games at 6 p.m. or 7 p.m.
Games at 6:30 p.m. and 7:30 p.m.